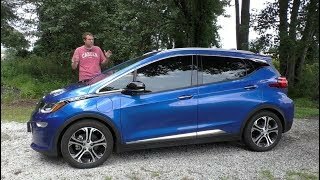 (Sorry for the wind noise in the beginning) In this video we check out the 2019 Chevrolet Bolt EV as well as go on a test drive in it. We talk about the interior layout, regenerative braking, one pedal driving, etc. 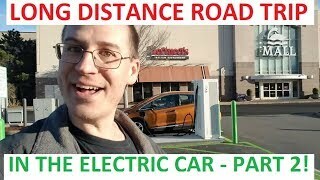 Do you drive an electric vehicle? What have your experiences been? Comment below and let's chat about it. If you enjoyed this video or learned something please Thumbs Up! 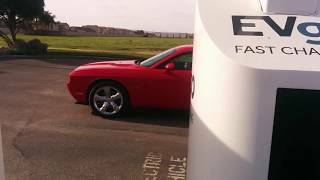 I wanted an electric car, went to the Chevy dealership Several times. All they said was they did not have any. Even when I found both ( the volt and bolt) on the lot, I was told only certain ppl can afford them. Smh. That dealer ship lost a sale. Is it okay to always charge it to its max every time you’re at home? I’ve heard many different things about the longevity of the battery. GM states that you can top off the battery as much or as little as you would like. It can be part of your daily routine. 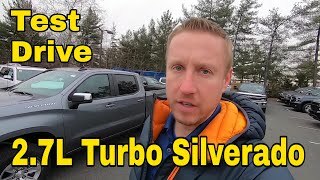 This will be ny next vehicle, & I appreciate the great, in depth video! Amazing cars :) LOL, I am in south Texas, so need to worry about any "snow" here, lol. +Dave B sells Chevy You are welcome & yes, I am sure we will! Great video! I own a Volt for two years now, love it. will consider to lease a Bolt when lease is up for Volt. but I need to learn more features, thanks for the review and explain. Greetings from Baltimore. 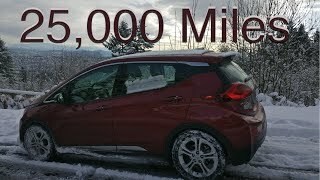 My 2019 Chevy Bolt EV is simply the best car I've ever had. I haven't been excited about a car since '88 (Acura Integra), but I'm excited about this one. Never going back to ICE cars. My sole detractor is the logistics of charging. Living on the third floor of a condo means home charging is not an option, so the logistics of charging in public can be taxing. Hey, how does customer charging work at your place? 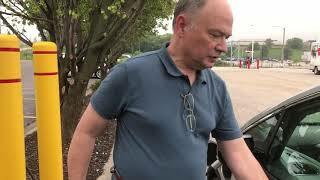 The guys who run my place (Autonation Chevy, Timonium, MD) are squiggy about letting customers charge. The manager is cool, but we have to sneak around the general manager. Is there an official policy? Sounds about right. The old farts that run mine probably aren’t even smart enough to figure that one out. Dave B sells Chevy Yeah, I told them all about it, even gave them the presentation from ChargePoint. They said not only NO, but HELL NO. I’m working on a plan B. Have a 2017 Bolt (27,000 ml.) Love it !!! The only complain I have are the seats too small and hand adjustment only. Glad you are enjoying your Bolt!! Thanks for your input. I am 73 years old. I have owned and driven a wide variety of cars, trucks, motorcycles and Hot Rods. I love my '18 Bolt LT. First of all it's an exceptionally well built and solid car. Everything moves in unison, no rattles, no squeaks, no vibrations and no noises. Secondly it's response to the go pedal is instant and quick. The whole regenerative thing is a blast. It's a peppy, fun ride that makes my day. Wow, this is awesome to hear! Thanks for sharing. Keep enjoying your Bolt! 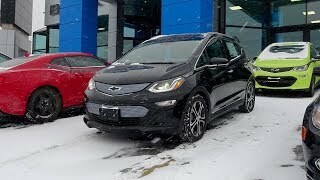 Have had my first EV '19 Bolt Premier since Nov 24th North West NJ. OMG love the driving experience, travel about 74mile round trip to work highway and hilly with no issues. 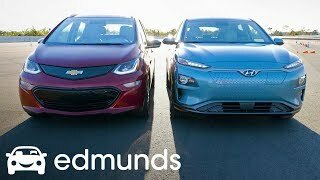 Excellent product by GM, it's a shame they stopped producing the Volt so hopefully they keep up the support with the Bolt and introduce a refresh to make it even more appealing. I agree, as my wife and i both drive Volts. I'm pretty sure the EV momentum started will continue. it is exciting! My gf bought a tesla model 3 lr awd in december 2018. There is nothing like evs especially the tesla. I find more and more that the user interface in all other cars ev and ice is clunky, stupid, and poorly designed, including the bolt. Not to mention that the bolt from what I know has no navigation which for meal makes a car useless in this day in age. The teslas navigation from most who have used it, will say it is the best on the market. Best screen size and image as well as the superiority of the user interface for that also. Then tesla has the supercharger network which is the best maintained and most reliable one out there. All the other evs are lacking severely without such a network. Price or not, for now I do not see any other ev purchase for any where near the price to be worth it. 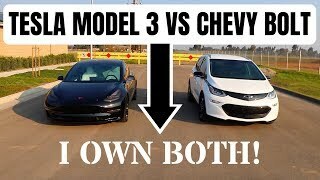 Remember that the bolt is sold at a loss for gm which does not make it sustainable for gm or anyone else who makes a car like it. The other manufacturers need to invest in a battery factory and get off their duff if they are going to survive and compete. Google Maps tends to be kept more current than on-board nav systems, hence the choice to rely on projections from cell phone apps. As for charging networks, well, ICE car manufacturers don't need to own oil and gasoline companies, and thus EV manufacturers don't need to own charging networks. There are several charging networks that fill different market segments, and they are building more all the time. ChargePoint, for example, has many Level 2 chargers for drivers spending the day at work or at a destination, or overnight at a hotel. EVGO, for example, concentrates on DC Fast chargers for charging during meal breaks on longer trips. With the PlugShare app all the charging networks appear on a single map, so anyone can plan a route. And finally, most EV drivers charge their vehicles at home while we sleep, something ICE cars can't do. Thanks for your input. 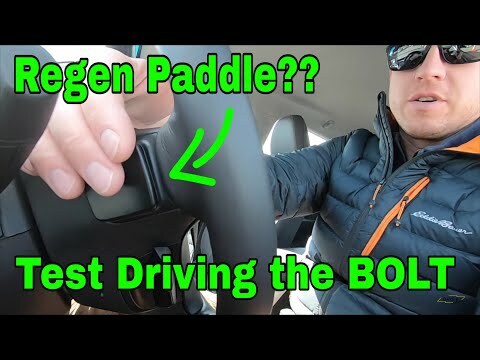 The Bolt does have the ability to use Google Maps, Apple maps, and Waze on screen through Apple CarPlay or Android Auto. I love to own electric car. How does electric handle in winter season where temperature -50 degree below zero. Nice ! Bought the exact same one in December. 50 shades of grey! Love it and laugh every time I drive it. Chevy hit a home run with this one. Awesome! Lol, it is definately 50 shades of grey. It's all about the lighting. Glad you are loving your Bolt! Thanks for the video. I own a 2013 LEAF. Approaching 6 years and 70K miles. Only lost one battery life indicator bar so far. My daughter is interested in my car and I'm interested in more range. That is what draws me to the Bolt. My car is charged by solar panels on the house so the expenses for my electric car are extremely low. I will always be a 100% EV driver from now on. I did the half way house thing with a Prius before getting the LEAF. You should try out my battery discovery on some older rechargeable batteries. The information is free on my Youtube page. Even have A twenty year old battery that still works fine. Thanks for watching Len! EV is the way to go. It's really awesome to be able to charge from the solar. My wife and I look to be able to do that in the future. Have a Volt. Love it. I assume the Bolt also has "sport" mode...which works very well in the Volt. 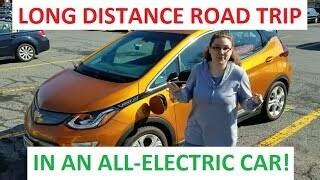 I am not driving the Volt through the winter because, in addition to having a current job location the same distance away as a full charge, I just don't want to salt it up. So I drive a Buick through the winter. My upcoming job assignment, however, is at a company location that has a level 3 charger.....so...I will have to get a Bolt so as to avoid ever having to buy gas or charge it at home. The money I don't spend on gas (or charge) will keep the car payment around the current level (after I sell the Volt). 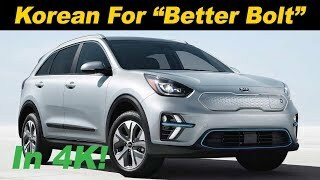 Now I have seen some other EV's that look good, most notably the Kia and Hyundai ones.....but no real great price point or history I have solid info on. The Teslas are expensive as heck, if you get normal option packages. And you, the buyer, has no ability (and are not allowed) to get repair parts nor fix them. If you attempt service and Tesla finds out, they'll turn features off in your car and can void your warranty with the press of a button. I don't like the idea of that...I know if I buy a Bolt, and need something, I can go to the dealer, get the part, and replace it. 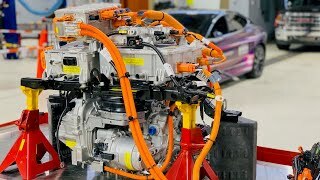 The other problem with the Teslas, that I have seen, is that you will need to replace a drive unit or two under warranty, and I haven't seen that type of service requirement on other EV's as of yet. Invoices I have seen were over 20000$ for a Tesla drive unit replacement if done after the warranty is up. Why do Dealerships always get Level 2 chargers? Which means, the Bolt will take 9 hours to charge. With a Level 3 charger, the Bolt will only take 45 minutes to charge. If you are going to sell EVs, you should be up to date with charging. Unless there is a huge number of miles driven on test drives at a dealership in a given day, overnight charging at level 2 should be fine. But as a buyer, DC fast charge capability is an option worth getting, as it cannot be added later. Nice. I have an older Nissan LEAF as my first EV. Loving it so far... just wish it had more range, like your Chevy Bolt EV. 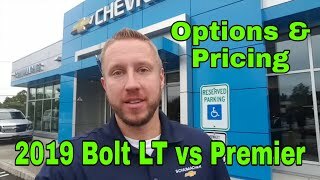 I own an '18 Bolt EV Premier and LOVE it!! +Bruce Allen To offset some of the cost of the batteries. It makes them more profitable when they do sell one. 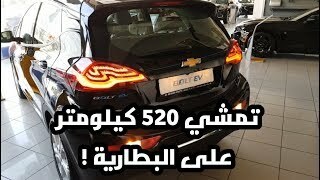 Do you have any idea why GM does not advertise the Bolt? 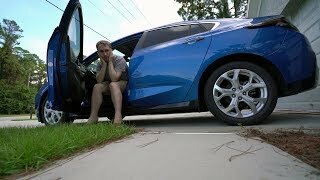 2018 Bolt LT (8 months); Everything you said I agree 100%. I started driving it like a traditional car then started using the paddle after 2 weeks, then the L mode and Sport mode after a month. When I press the on button I set it to Sport and L and also use the paddle when I need to stop a little quicker. The ride is very smooth and quiet. However the quick/instant acceleration is my favorite part. Great video! I don't feel much difference using Sport mode but someone said you get better range because you don't have to press the accelerator as far? As for range, I live in Southern CA and I get 4.4 per kWh for 50% local 50% highway (65-70mph). Starting in Jan I had to use the heater at times (set temp to 74) and kWh reduced to 4.0 kWh. When not needing heat I set the temp to 69. My AC/Heat button is always on. Do you feel a big difference in the Sport mode? how about your range? 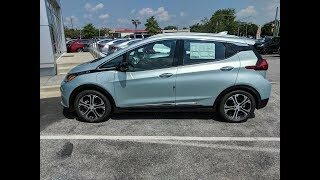 I bought my Bolt Premier in mid of August last year for 2018, after 2 weeks I learned about the L drive. Since then, I've never used the D drive ever again! Love my Bolt!!! So much better than Leaf s which I almost bought! Have had a 2017 Bolt for almost a year. Absolutely love it. The one pedal driving is fantastic. In town (Fort Myers, FL), get nearly 300 miles on a charge (no heat or A/C). On highway, depending what speed, quite a bit less. At 75 miles an hour, got only 175 miles. Just got back from Orlando and took back roads. Didn’t exceed 55 miles an hour. This was the sweet spot as got good range, about 230 miles. This is a great car. Well built and solid. We like the exterior and interior (have the premier trim). The 360 view and rear view mirror camera are great and wouldn’t buy a new car without these. Wish adaptive cruise control was an option as we consider this a safety feature. Seats are comfortable, although good I am not a large person as they are narrow. Nice video, by the way. Thanks John, and glad you are loving your Bolt. Getting towards that 300 mile number is Great! That's why I like driving the Volt so much.. Everyday I am trying to achieve the most distance I can. In Jersey traffic in the morning I can drive 7/8 miles and only drop 1 or 2 miles on the battery. The most we've done is a consistent 64 mile range in 60/70 degree temps with no climate control on. In Phoenix here - in the process of buying a Bolt (looking for a gently used '18 Premier), but they are hard to come by (at least out here?) I'm really excited and have done a ton of research on the Bolt. I'm tired of spending upwards of $270 in gas a month. I think it's cool you say it's one of your favor favorite cars you've driven.Thanks for the informative video. Dave I was just about to leave you a Facebook comment requesting a Bolt video! I'm glad to hear they're roomy enough for tall guys, but what do they say about the longevity of the car? The range could cover my daily commute on a single charge but I put a lot of miles on annually, so I'm just wondering how long the car would last? Do the electric motors last longer, so it would just need battery replacement in a few years? The battery and electric components are covered for 8 years or 100,000 miles so I say no worries.. Just drive..
My Tea Bling Tara B. Yes I do drive an electric vehicle! And my experiences it's been car by far that I have ever driven in fact I just shined it up and it's looking real niiiiace! 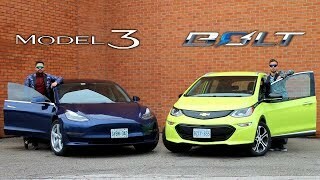 My suggestion to everybody would to be to get a volt that's with a v before Chevy taps them out ! best car ever!!!!!!!!!! Dave B sells Chevy In reply to My Tea Bling Tara B. 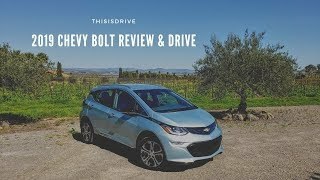 2019 Chevy Bolt Review & Test Drive - Best Electric Car?